I hear a lot about college students requiring a "safe place" on campus so they can be shielded from offensive language and images. 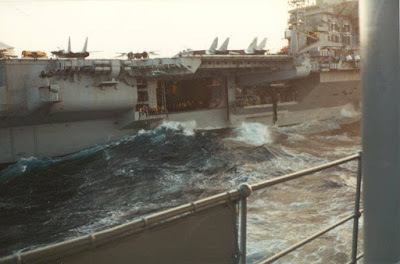 Above is a photo of the USS Kitty Hawk at sea. The aircraft carrier served off of the coast of Vietnam and toured Southeast Asia in 1970-1971. The carrier was my home and "safe place" when I was 18 and 19.